Looking back and looking ahead - Michelle Rogers, Inc. The past year was filled with a lot of work, and was particularly focused on expanding my knowledge in the health and fitness field. Here are a few highlights from 2015. Becoming a Certified Fitness Professional. My biggest accomplishment last year was finishing the very challenging Certified Personal Trainer course I’d been working on for two years, and passing my exam. 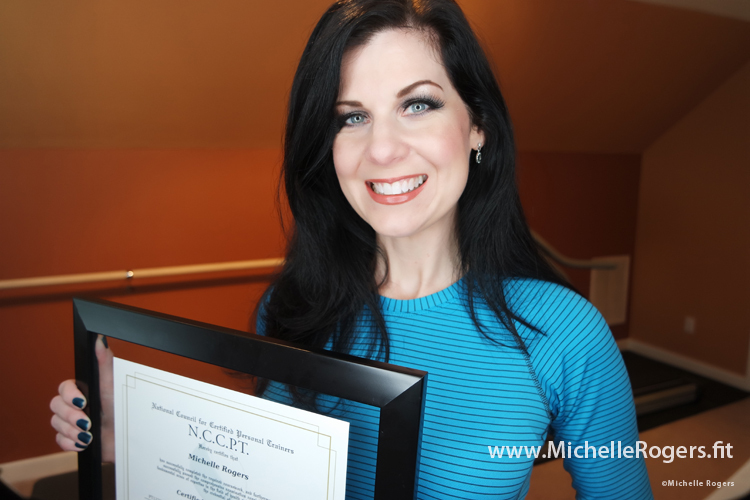 I’m now Michelle Rogers, CPT! Rebranding. Last year I rebranded my blog, changing the name from Healthy Beauty to Michelle Rogers Healthy Living. I created a new website design and logo, and also updated my social media handles to reflect the new name. The new site not only looks great, on the back end it features the latest technology and is mobile responsive. Continued social media growth. Last year I topped 40,000 followers on Twitter, and doubled the number of followers on Instagram. I also joined video-broadcasting platform Periscope soon after it launched, experiencing quick growth there to 1,200 followers. Welcoming new clients. I worked with a professor from the University of Kentucky on a new website for her group’s research project, creating a user-friendly WordPress site that they are able to easily keep updated on their own. Collaborating with brands. My healthy living blog regularly attracts brands interested in partnering with me on promotions such as reviews, giveaways and advertising. For example, last year I was invited by upscale weight loss resort Hilton Head Health to stay for a week to experience their program so I could feature it on my blog. I had a wonderful time that included gourmet food, workshops, yoga on the beach, stand up paddleboarding, and even a spa massage. It was definitely the highlight of my summer, and one of the most enjoyable stories I’ve written in my career. Read it here. Presenting. I was asked again last year to be a guest lecturer in a master’s level nonprofit marketing class at UNC. I spoke on using social media and blogs strategically to promote your organization. I was also asked to present at the Charlotte Fitness and Health Expo in January ’15, where I spoke on, “Five Simple Secrets for Starting–and Sticking to–a Workout Program,” a very timely topic for those whose New Year’s resolution is to lose weight and get in shape. Radio interviews. I was a guest on two radio shows last year. First I did a recorded interview for It’s Your Health, a syndicated program carried on various stations nationwide, where we discussed how to reach your weight loss goals; and then a live interview on Naturally Savvy, a show on the RadioMD network. I’ve posted the audio here. The media training I’ve had with my communications and public relations background came in very handy for these experiences. I enjoy working with the media and would like to do more. This year I’ll be continuing my education in the health and fitness field. I am enrolled in Group Fitness Instructor Certification with the American Council on Exercise (ACE). I also plan to become certified as a Senior Fitness Specialist and to work with the Silver Sneakers program. Also, I plan to do more videos and have invested in a new camera and lighting equipment. In addition to using this in my blog, I’m especially interested in incorporating video in my clients’ marketing and communications projects.